Do you have a few minutes for Bible study? God has given us all many gifts. While we do get to enjoy our gifts personally, He wants us to share them with others as well. When we share our gifts, people get saved, believers are encouraged and God receives all the glory! So don’t hide your gifts — share them! To listen to i hear: Use It Or Lose It, please click on the play button below. Thank you for joining me today for i hear. 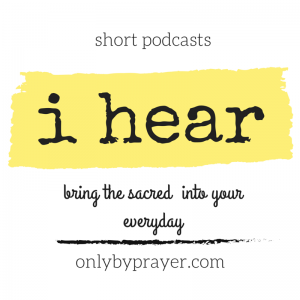 I pray you gain some freedom from listening to the truths contained in this podcast. Please comment below on what you learned today. I’d love to hear from you!